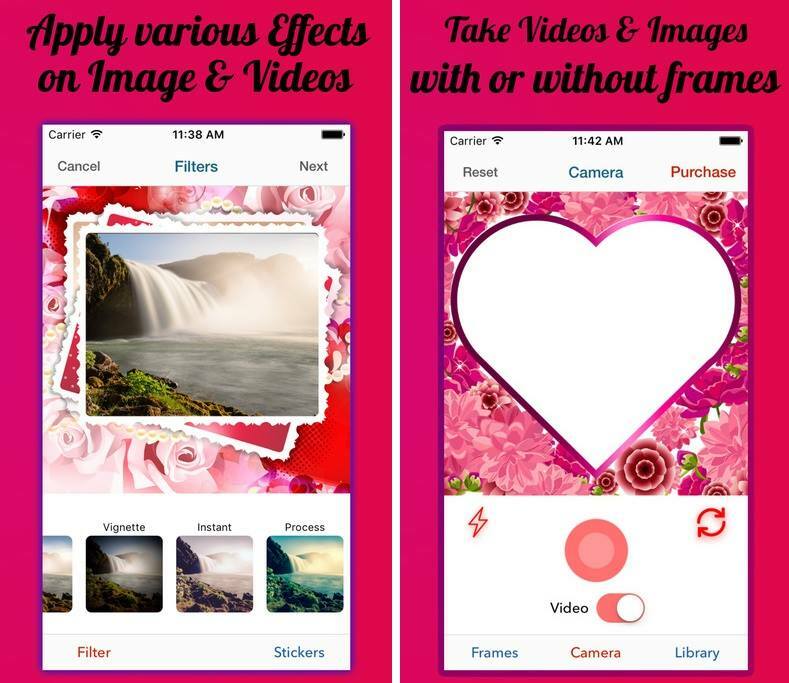 Love Capture – Camera is app that will turn your pictures into a masterpiece. It has all that you need to spice up your love emotions. Create your picture of your love ones by using love camera .By using love camera you share it with your beloved or friends. These love pictures will show them your care and will make them smile. Inspiring and usable interface will reveal your creativity. With love camera you use various filters and frames the creation of love photos will be easy and exciting. Open love camera and start edit photos select filters, add stickers, use effects - enjoy .Use words quotations sayings and express your feelings. You can send your love pictures via messengers or social networks instantly! Moreover, you can print your photomontage and get a real gift card for a special case. Fancy picture frames and stickers will give positive emotions to your dearest. Wanna surprise your sweetheart at Valentine’s day? Love camera has collection of Valentine's Day romantic frames, stickers and emoticons is perfect for lovers, for couples, and for all people, who cherish the wonderful feeling of love! It will be a nice surprise for your beloved! It's so easy to do - Love camera have more than 60 stickers and 35 frames by which you create images and videos of your love ones and send it to your beloved via SMS, E-mail, Messengers or share on social networks. The best thing about the app is that it is available free and you can install it on all iOS OS devices.